I was a bleak and introverted teenager. Thankfully, my social skills have improved exponentially since – however, I frequently have days when all I want to do is stay in my pyjamas, hide in daydreams and books then write about it. Somewhere that 15 year old; lost in a heap of diaries and notebooks, writing terrible poetry; still lingers in me and I have learned to love her over the years. 15 year old Amy would have loved blogging, but her content would be hideously self-indulgent and crass. The term ‘blog’, was first coined in 1999 and evolved from ‘weblog’. What started as an online journal for geeks has since mutated into a magnificent beast that spawned a revolution in marketing. The function of marketing is constantly evolving. Traditionally, marketing used to be about ‘pushing’ ideas and information on people through ‘interruption advertising’ (i.e. : advertising that ‘interrupts’ your day like banner ads, TV and radio advertising). There is still a place for this approach but it is only part of it. The approach of marketing today has shifted much more towards ‘pulling’ people in with valuable content. Content Marketing is the art of selling things by; sharing knowledge, information and stories. The most accessible and efficient ways to do this are through blogging and Social Media – Blogging is Social Media gold dust. Bloggers never run out of things to share on Social Media. My first venture into the world of blogging started in 2013 with ‘Idea-ism’ (http://ideaism.blogspot.co.uk/) – a word I invented to describe the syndrome of having too many ideas. It started as a way to explore ideas and share the creative projects I was absorbed in with an audience. Since then my blog has relocated to my website (www.AmyMorse.co.uk) and focuses on entrepreneurship and writing. Everyone has their own reasons for dancing in the ballroom of the blogger-sphere. As a writer, any platform that gives me an excuse to write is welcomed. With anything; the more you do it, the better you get and I have certainly noticed an improvement in my writing craft since I’ve been blogging. Keeping a blog allows me to develop some healthy habits such as; discipline, commitment and focus. Like all creatives, I have so many ideas buzzing around in my head, anything I can do to get them to buzz in symphony quiets my noisy brain. I can process ideas, organise my thoughts and concentrate on what my priorities are. By writing in a public forum I am making a commitment to do something. If I say I’m working on something on my blog, I then feel a responsibility to actually do it and not get distracted. Blogging gives me an excuse to research topics that fascinate me. I am now a much more systematic and organised researcher as a result of blogging. I use Pinterest to research, collect and curate research and these skills feed into my fiction writing. Despite my moments in hiding, I am at heart, a sociable person. 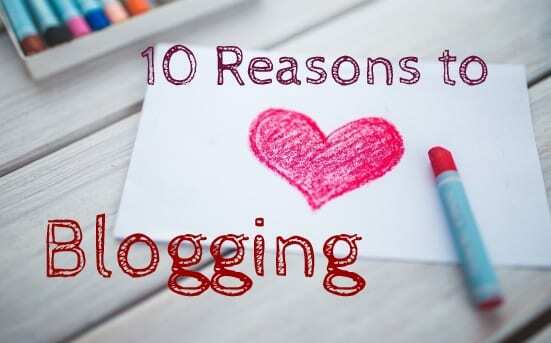 Blogging allows me to make connections in the virtual and real world space. As a passionate supporter of entrepreneurship, I enjoy showcasing other people’s content. It’s a great way of acknowledging their expertise, creating a lasting connection with that person and increasing my own reach across other networks. This is a great confidence boost. I look back on my old content and realise just how much random knowledge I have that others will find useful. It also serves to build my own credibility as a business coach. My blog continues to grow and change and my next challenge is to make it pay for the time I spend on it. There are many different ways to make money from blogging, such as affiliate links, adverts and sponsorship. If I can inspire someone else, or influence them in their own businesses or creative endeavours, I’ve done my job and that alone makes it all worthwhile.